Want a tasty treat but don't want the guilt? 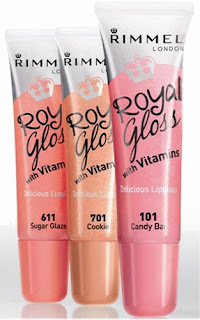 Then look no further than the latest lip gloss offerings from Rimmel London as they are so yummy, you'll be smacking your lips all day long with these on. With vitamins A,C,E and nutrient rich royal jelly to keep your puckers conditioned and hydrated as well as protect them from chapping. 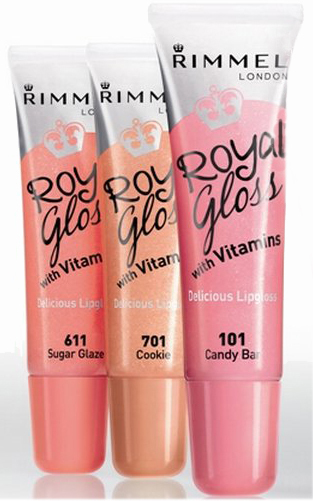 Comes in 3 translucent shades with delicious flavour like Candy Bar (a cotton candy flavour), Cookie (cookie and cream biscuits flavour) or Sugar Glaze (boiled sweets flavour). Imparts glossy shine and just the right amount of shimmer to to sheerly tint lips for an extra dimension. Non greasy formula that just glides on lips makes it a real winner in my books. The moisturising properties make Royal Gloss a great lip gloss to have in the handbag so you can whip it out to apply and give a yummy pick me upper any time of the day. RRP A$10.95 for 14ml at selected Priceline, Target, Big W, Kmart, Coles and selected pharmacies. This product was sent for consideration.